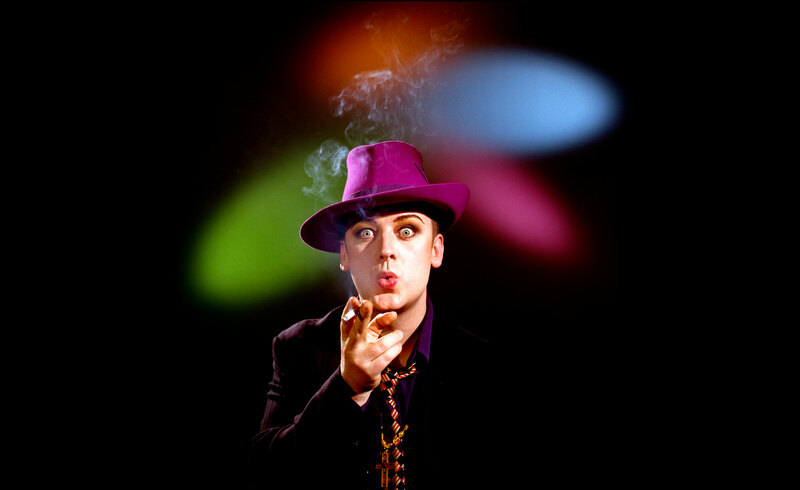 This shoot was actually of Culture Club; during the time they were filming an episode of storytellers on VH1. I wanted to do a set of single shots of the whole band, as an excuse to photograph George alone. Knowing the public history of the band, I though it would be the most diplomatic course of action; I had no idea. George walked in perfectly made up and ready to shoot, so I started with him. As soon as we started, John began having his makeup done. Within earshot George started ? he never loved me? and so it went. I just wanted to say, ?George it?s been a few years you might want to get over it.? Being that I was not John, George could not have been any nicer to me. Needless to say we never did the group shot and the magazine ran a spread of the single shots. The set was inspired by a Frank Sinatra television special from the sixties.